With customized treatment plans and guidance, our family dentist in Beaverton can serve your dental needs. At Harmony Dental, we are a full-service dental office. What does that mean for you? It means we can take care of all of your dental needs under one roof. If you’re in need of Invisalign, dental implants, or a root canal, our Beaverton dentist can take care of you. You can get healthy and love your smile again while seeing the same faces from start to finish. Ask us how we can help improve your smile. We love seeing smiles of all ages! Our wonderful hygienists Katie and Connie have a gentle touch and will conduct a thorough comprehensive exam to address any needs you have. We are here for you. We love seeing your smiling face, and when you visit us every six months, our hygienists and Dr. da Costa will complete a comprehensive evaluation and cleaning to ensure optimal oral health. Invisalign® is the barely-there way to straighten teeth. Clear aligners are used to gradually move your teeth into their desired position with no need for metal or wires! The aligners are light and comfortable to wear and are removable to make eating and brushing easier. Invisalign® can be used to correct a variety of smile flaws, such as small gaps between teeth or crooked, misaligned teeth. Both teenagers and adults can use Invisalign®, in fact, many adults prefer to use Invisalign® because it is so discreet. Creating a beautiful smile doesn’t have to be uncomfortable or embarrassing any longer with Invisalign® clear braces. Learn more about Invisalign here. With full mouth rehabilitation, we can restore the function and beauty of even the most damaged smiles. With Dr. da Costa’s experience, we are confident in finding the solution to get you smiling again! Creating a lasting impression starts with your smile, and we are ready to craft one fit only for you. We use a variety of cosmetic services to create your unique smile by complementing characteristics such as your lips, eyes, personality, cheekbones, and much more. Dental implants are an increasingly popular way to replace missing teeth and can be used to support crowns, dentures, and bridges. They are replacement roots for teeth that are missing. A small titanium implant is placed securely into the jaw and then capped with a custom-created porcelain crown that will blend beautifully with the rest of your teeth. Not only will it restore the beauty of your smile, but it also restores the support needed to protect the rest of your teeth from drifting out of place. With durable dental implants, you will be able to eat, talk, and smile with full confidence again! Crowns are the solution to restore a damaged tooth back to its optimal strength and function. At Harmony Dental, we use porcelain crowns to not only restore your tooth but keep its natural appearance as well. Porcelain veneers can correct many smile blemishes, including gapped, broken, chipped, crooked, or discolored teeth. Practically as strong as your teeth, our veneers are molded to look natural and beautiful. Are you a little nervous to visit the dentist? Finally, there’s a solution to help you relax. 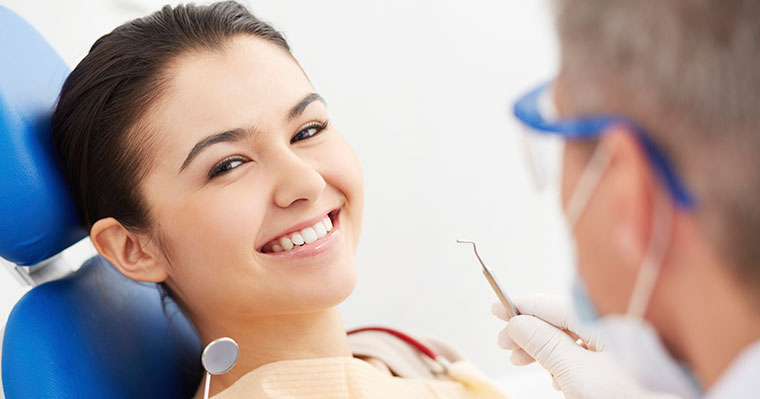 Our sedation dentistry helps ease and overcome your dental fears. Not only are silver fillings dull, but they also provide significant health risks. At Harmony Dental, we are all about keeping you healthy. Our metal-free fillings help prevent further tooth decay and closely match the color and shape of your surrounding teeth. Teeth whitening is an affordable and conservative solution to add more pizazz to your smile. We use an efficient in-office whitening system that safely boosts your smile color in just about an hour. Bonding is a conservative procedure to fix simple smile blemishes such as chipped teeth. This convenient procedure is completed in one visit and can significantly improve the appearance of your tooth. Schedule your appointment with Harmony Dental today.